BRIDGETON, MO – Students at Marjorie Stoneman Douglas High School in Parkland, Florida arrived for the new school year Wednesday (Aug. 15) sparking widespread discussion, once again, about campus safety. Some families are taking matters into their own hands by equipping children with personal shields. Buying school supplies usually means checking off a list that includes notebook paper, No. 2 pencils, colored markers and a ruler. Now some parents are thinking about adding another item: bulletproof backpacks. Matt Materazo’s kids are heading back to school this year with something new in their backpacks: an 18.5-ounce, quarter-inch-thick armor insert that will deflect a bullet from a .44 Magnum. 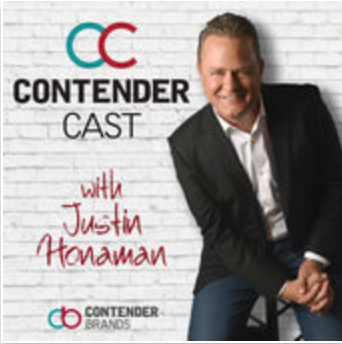 On this week’s ContenderCast, founder and CEO of Gladiator Solutions, Matt Materazo, joins host Justin Honaman to the launch of PakProtect, the impetus for how it began, the need for parents to have peace of mind, and the partnership with the COR Foundation. LISTEN TO THE PODCAST. © 2019 PakProtect. PakProtect, a division of Gladiator Solutions, manufactures ballistic plates to be used in student, professional and traveler backpacks to provide an extra level of peace and protection in the case of an active shooter situation. For more information, contact us at info@PakProtect.com.